Clean, stylish and practical, contemporary kitchens incorporate present-day aesthetic, high-tech/eco-friendly materials and/or technology. 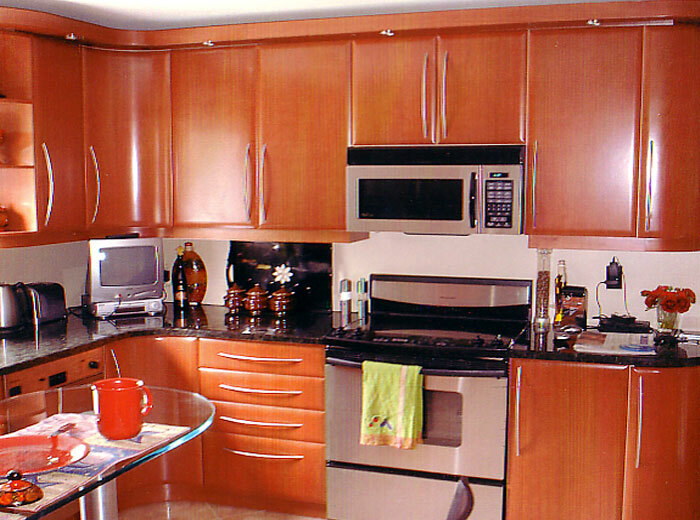 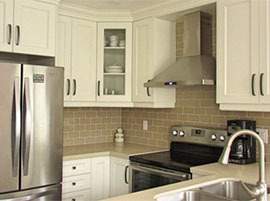 Adding one or all of these features to a traditional kitchen will recategorize it as a contemporary kitchen. 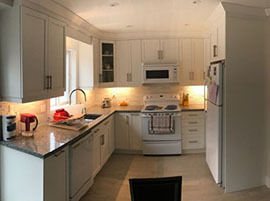 Contemporary designs also mean "designs incorporating items of the current time period", which makes this type of design change according to the trend in technology, material or appliances during the time it was created. 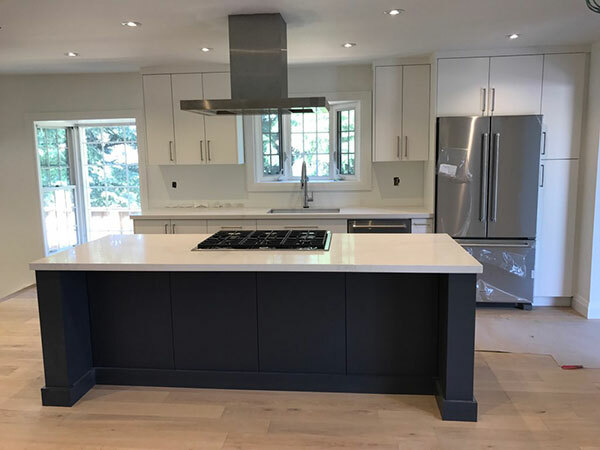 In today’s contemporary design kitchens, it commonly bares rounded and gentle lines, natural materials and neutral colors accentuated by pops of color. 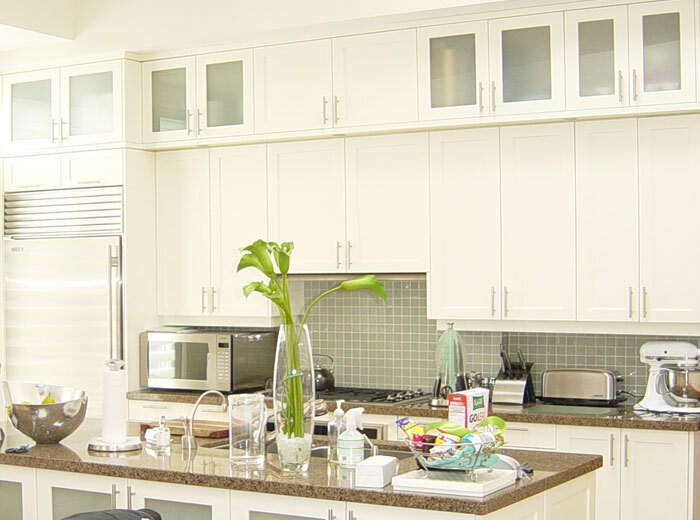 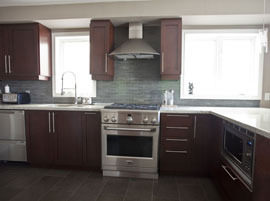 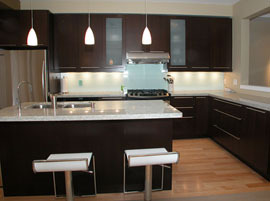 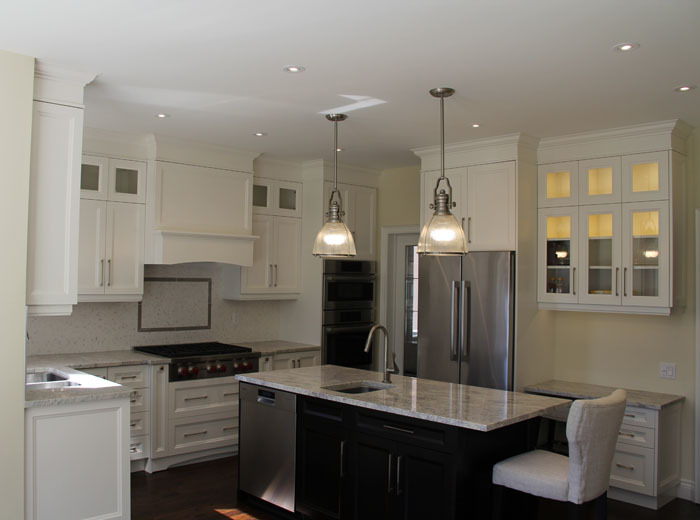 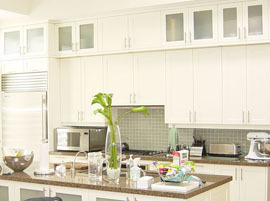 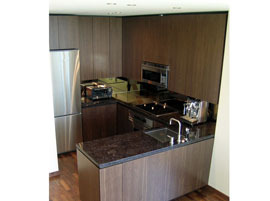 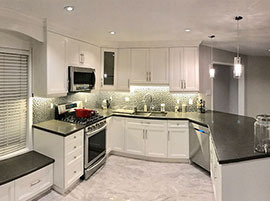 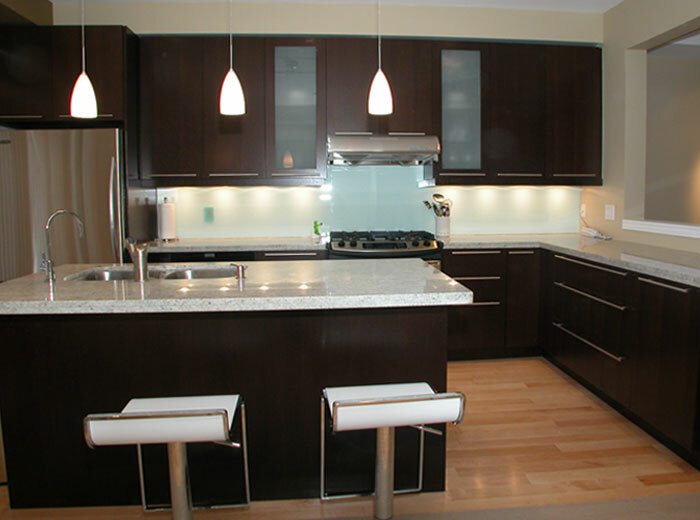 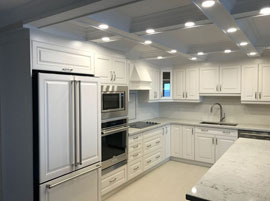 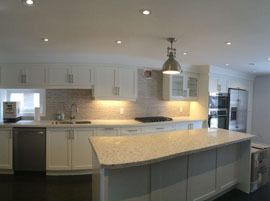 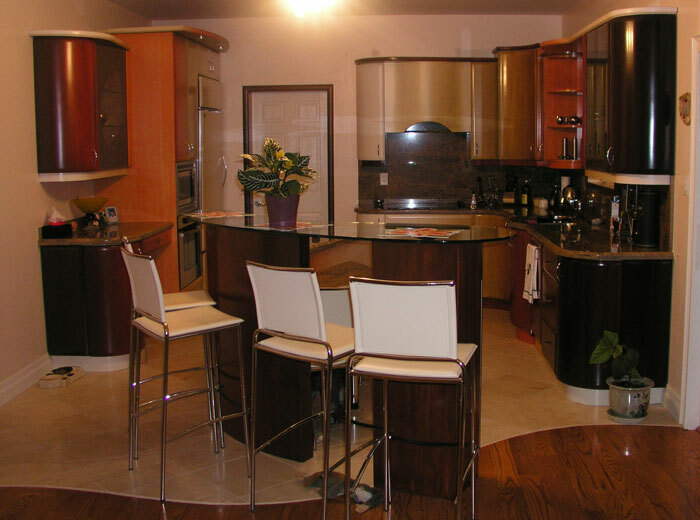 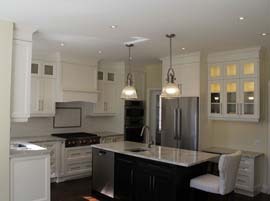 Learn more about which kitchen style is right for you and the cost of custom kitchen cabinets from our articles.